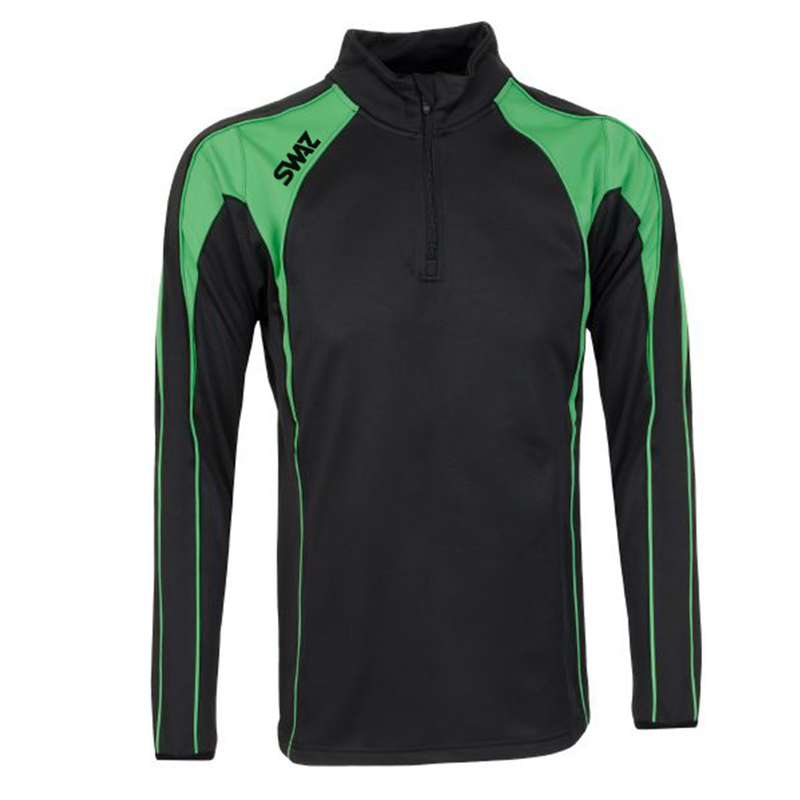 The SWAZ Premier 1/4 Zip Midlayer Top is an essential garment for any modern football club. This product is a current and fashionable piece, built with high levels of hardship and comfort. The garment has been technologically advanced with a built-in body temperature regulator. 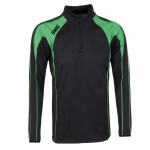 This is designed to maintain the wearer’s temperature to increase performance levels. 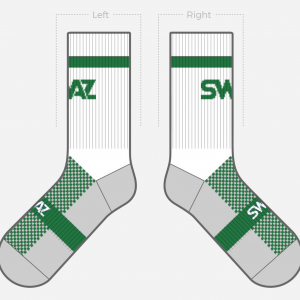 There is full customisations available it can be designed to adapt to any football club. 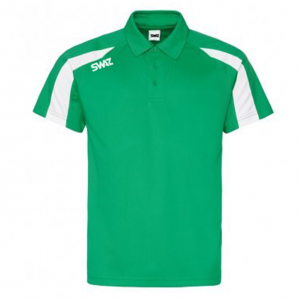 Customers can purchase this product in a wide range of colours and sizes. 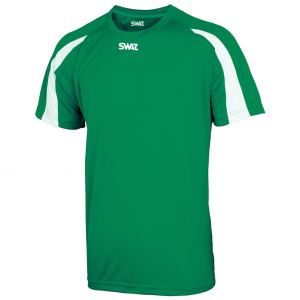 The SWAZ Premier 1/4 Zip Midlayer Top’s most noteworthy feature is a luxury feel and exclusive, two-colour image means it can easily double up as a casual post-match outfit. SWAZ Premier 1/4 Zip Midlayer Top matched alongside the SWAZ Skinny Pant, it works as an advanced, modern alternative to the classic tracksuit. The colour shown is black/green.